Bagheera: Now... now, don't worry. I'll take care of it. Baloo? 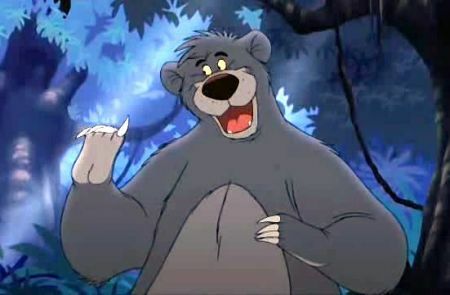 Baloo? 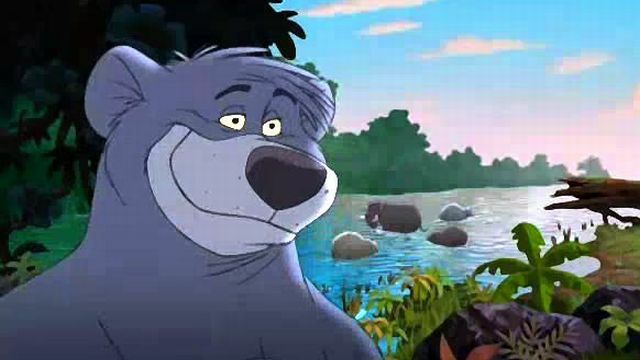 Baloo: Oh, man. This is Bagheera. How's it wagging? Bagheera: This has to stop. You can't keep trying to take Mowgli from the man-village. The boy's future lies with his own kind. Baloo: His future can wait. I miss my bear cub. Bagheera: It's not safe for him in the jungle. You know Shere Khan is looking for Mowgli. Baloo: Just let Shere Khan try something. We handled old Stripes once. We'll do it again. 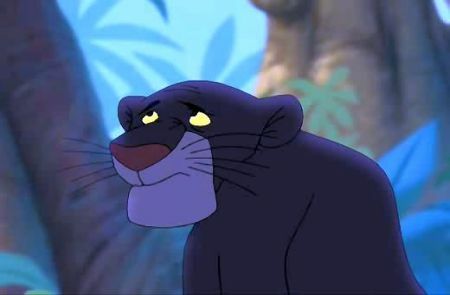 Bagheera: Baloo, don't push your luck. Baloo: Out of the way, Baghee. Bagheera: You're not going near the village! Baloo: Later, Baghee. Bagheera: That's it! Hathi! Plan "B"! Elephants: Hup, two, three, four! Keep it up, two, three, four! Colonel Hathi: Now, remember, men... our objective is full and complete containment. Prepare for Operation... Junior: Stop That Bear? 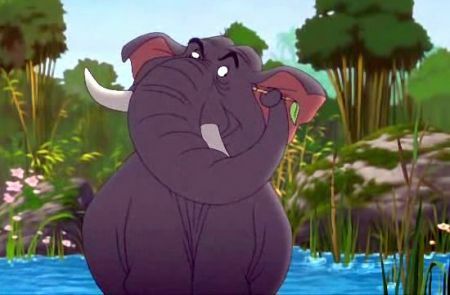 Colonel Hathi: Very good, son! Yes. Prepare for Operation... Stop That Bear! Elephants: By the ranks or single file, over every jungle mile... Baloo: Run, Baghee! You're in the parade ground! Bagheera: Oh! No, please, stop! Colonel Hathi: Company... halt! Bagheera: I told you, Baloo, there's no way we're letting you near the man-village.